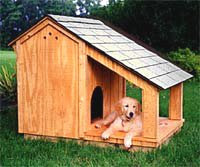 Your dog must be able to turn around comfortably inside. Types of insulation could be anything that adds a solid extra layer. If your dog spends a lot of time outdoors make sure the house is warm enough in winter. No animal should be left outside in cold temperatures. All animals must have fresh food and water at all times.